Questionable elections for a rubber-stamping new assembly may give President Nicolas Maduro more power. But the country’s people, economy – and some U.S. companies – will suffer. Also: Sprint, under a ton of debt yet overvalued, weighs up its M&A options. 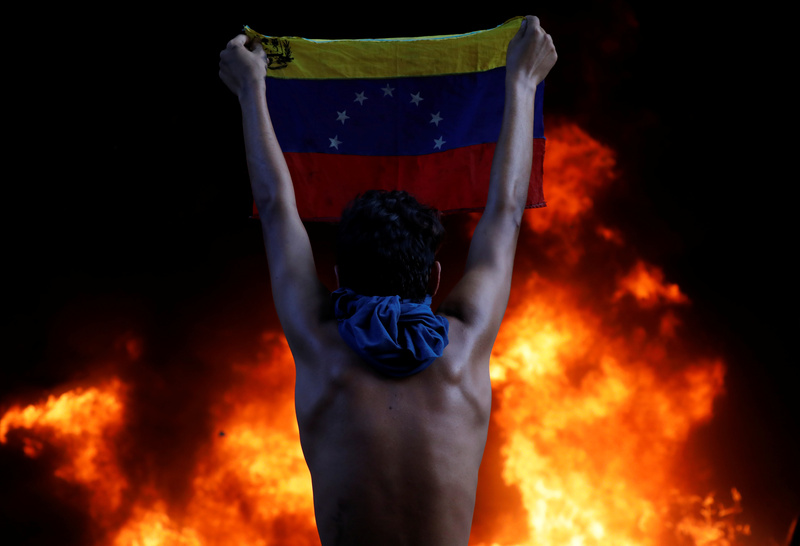 A protester holds a national flag as a bank branch, housed in the magistracy of the Supreme Court of Justice, burns during a rally against Venezuela's President Nicolas Maduro, in Caracas, Venezuela June 12, 2017.